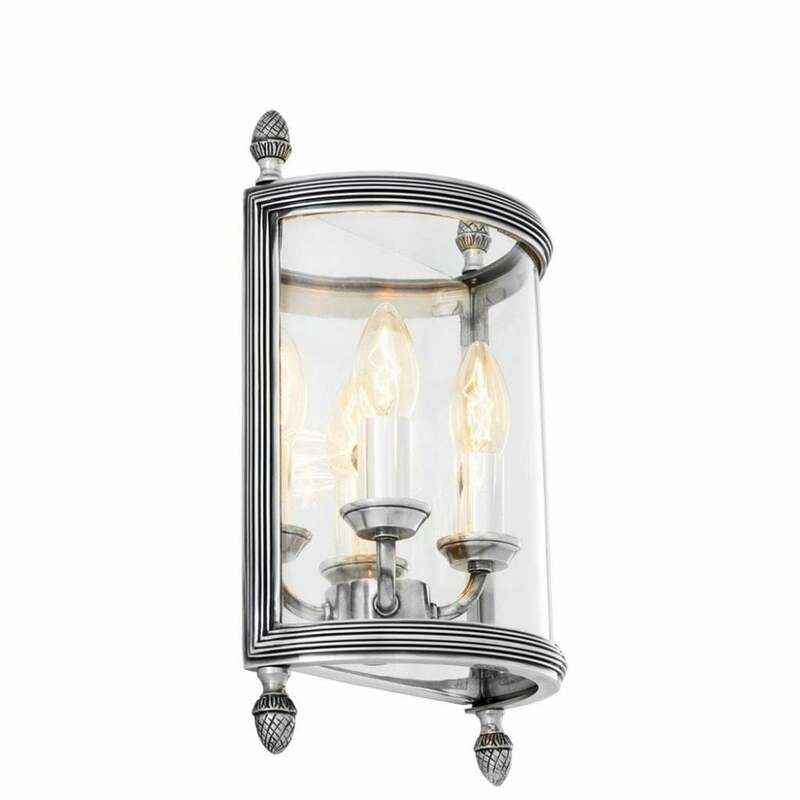 Inject elegance and style into a hallway or living space with the Lennon S Wall Lamp by Eichholtz. Finished in antique silver, the cylindrical frame features detailed edging and ornamental accents on each corner. Clear glass encases two candle holders that fit 40 watt bulbs. Also available in polished brass, the classic lantern style design will suit both modern and traditional interior schemes. Please note: bulbs not included.